And their love is like a glorious array of fragrant, rose-scented twisters. At the end of the day, only sincerity and kindness shall, in their purest hearts, remain. And neither one of them will fail. And, for that, they will stay strong and fight for each other with positivity that is ever fresh. 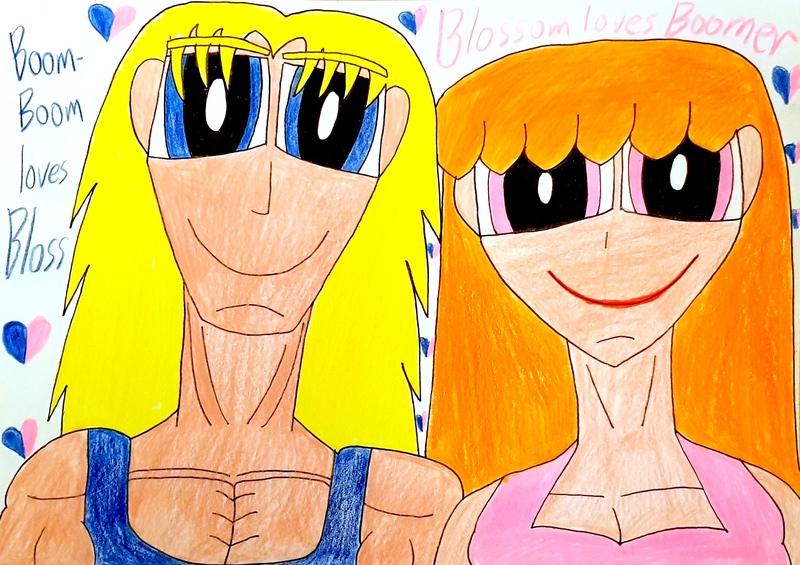 That, my dear friends, was my attempt at making a well-structured ode to one of my most favorite RRB/PPG pairings of all time, Boomer x Blossom or Blossoomer, which this piece of work along with the Blossoomer fan art accompanying this text is part of BrickercupMasterX3’s Blossoomer month. I would also love to dedicate this to Josh Strider aka Phantomstrider who celebrated his birthday two days ago and Miss Lazy aka Aria-Pari who celebrated her birthday yesterday. 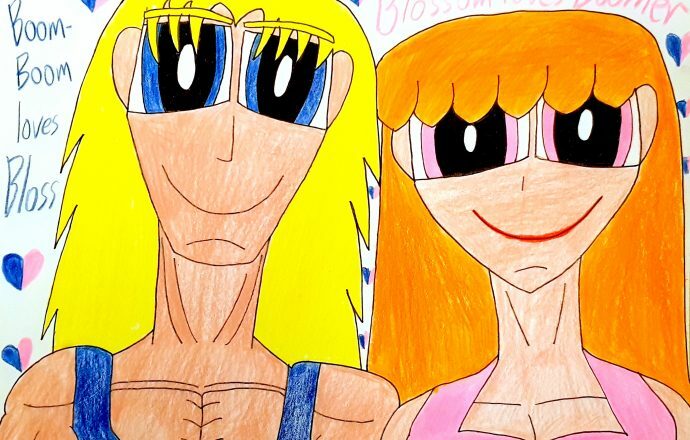 So, I hope you guys had awesome birthdays, I wish you so much love and joy in your lives as artists and people, and I also hope you enjoyed my piece of pro-Boomer x Blossom poetry as well as the fan art accompanying it. This also goes for the other Blossoomer shippers. I hope you guys also enjoyed this in its entirety and I hope this managed to make you feel inspired as I was to produce something like this. All of my observation of rhyming, rhythm, and the technical poetry facets aside, I can never get enough of Blossoomer whatsoever. The love, passion, and dedication I have to this particular color-clash RuffPuff couple is not only strong but also something that makes me even more driven to support this pairing as my OTP alongside the other RuffPuff OTPs I have namely Brickercup, Blossutch, Butchubbles, and Boomubbles. More importantly, I could not have done this particular ode if it were not for you, dear Blossoomer shippers and fans. You all know who you are and I want to thank you from the bottom of my heart for giving me so much inspiration, courage, and passion to produce not only this piece of fan art but also this particular ode. I may not be an expert poet, but at least the thought of showing my utmost appreciation for Blossoomer counts so much. I hope you all enjoyed this piece of work and see you all in the next submission. Take care.